Q: What's the difference between Fox News and Fox Entertainment? A: One's an entertainment media company and the other's an entertainment media company. The Fox Entertainment Group is an American entertainment industry company that owns film studios and terrestrial, cable, and direct broadcast satellite television properties. It is wholly owned and controlled by the Australian/American media conglomerate News Corporation, which is Chaired and part owned by the Australian/American Rupert Murdoch, since the company acquired all the stock of Fox. The transaction was completed on March 12, 2005. It is named after William Fox, born Wilhelm Fried, who created the original Fox Film Corporation. The Fox Entertainment Group was formed in the 1990s after the purchase of the Metromedia-owned independent stations by the 20th Century Fox film studio, at the time jointly owned by Australian media mogul Rupert Murdoch's News Corporation, and Denver billionaire Marvin Davis. These stations would later become the foundation of the Fox television network, which launched in October 1986, and the group itself. Not long after the Metromedia deal was made, Murdoch purchased Davis's shares and News Corp assumed complete control of 20th Century Fox. In 1995, Saban entered into a joint venture with the Fox children's television network to form Fox Kids Worldwide, which was best known for the first ten Power Rangers series. In 1997 it was renamed Fox Family Worldwide. On July 23, 2001, it was announced that Fox Family Worldwide (now ABC Family Worldwide Inc.‎) would be sold to Disney from News Corporation and businessperson Haim Saban. On October 24, 2001, the sale was completed. Saudi billionaire eyes new links with News Corp. 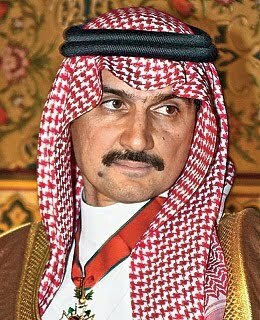 Prince Alwaleed bin Talal, a nephew of the Saudi king and who was listed last year by Forbes as the world’s 22nd richest person, met with News Corp.’s chief executive Rupert Murdoch on Jan. 14 in a meeting that “touched upon future potential alliances with News Corp.,” according to a statement released by his Kingdom Holding Co. late Saturday. Media reports have indicated that News Corp, parent to Fox News and Dow Jones & Co., among others, may be thinking of buying a stake in Alwaleed’s Rotana Media Group, which includes a number of satellite channels that air in the Middle East. Neither company has commented publicly on the possible deal, but the talks offer an indication yet that such an agreement may yet be in the offing. Kingdom Holding’s statement said Alwaleed is already the second largest stakeholder in News Corp., with 5.7 percent of the shares of the media company. The stake is held through Kingdom Holding, in which Alwaleed holds a 95 percent stake. The investment company has a diverse portfolio, ranging from hotels to shares in Apple, eBay and Citigroup. In an unsigned report published at their website, on Friday, Feb. 12, 2010, Fox News takes aim at Georgia Gubernatorial Candidate Nathan Deal and Texas Gubernatorial Candidate Debra Medina.